Best Cellular is a multi-carrier Mobile Virtual Network Operator (MVNO). We also offer a custom Mobile Developer API / Prepaid Wireless Dealer API (Application Program Interface). Prepaid wireless dealers, developers, and software engineers alike can integrate our prepaid wireless network with their existing website or mobile applications. See how the Best Cellular MVNO API for Prepaid Wireless Dealers and API for IoT Developers can benefit your business as well as your customers! Integrate the Best Cellular API into your website. We use the same Prepaid Wireless Dealer API system for our own stores that we offer to you! Programming and development eat time like nothing else. Additionally, human resources for maintaining web content are scarce or costly. Because of this, the team at Best Cellular has already spent the time and energy to create a Prepaid Wireless shop platform. Finally, anyone from a beginning dealer to a large-scale Prepaid Wireless operation or master agent can utilize these APIs. Carrier Provisioning, a customer point-of-sale, and a device eligibility checker are already included among other services. Best Cellular offers a custom API for IoT Developers. With the number of IoT devices growing every day, developers for IoT and M2M are looking for easy and effective ways to enable connectivity. 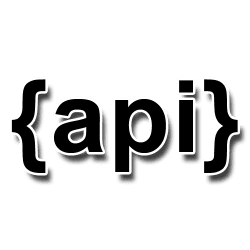 Through a Best Cellular Mobile Developer API, you can integrate our API into your website in order to allow customers to buy additional MB of mobile data, talk minutes, SMS or even cash cards. In addition, dealers with at least 1,000 lines of active service can contact us for creating custom rate plans to meet your unique IoT project needs. Let the Best Cellular API for IoT Developers help you serve your enterprise customers and Big Data processing centers through mobile data connectivity! Use these Web Service APIs for all functions required to manage customers in the Best Cellular system. Currently, there are 6 web services that cover the MVNE Platform web services. Customers enjoy a quick and painless activation process, and our provisioning API does just that. Activate and manage MDNs easily with the Best Cellular Carrier Provisioning API. Manage your customer database using an MVNO API. Easy overview of usage amounts and billing cycles means you and your customers stay informed. Shopping is intuitive through our POS. Showcase your rate plans and devices so they can shine. Furthermore, run a credit score or check a coverage area as well! The Shopping Bag API keeps items ready to purchase so customers can keep adding as they browse. Create and manage your stores through remote login. In addition, quickly and securely access your services from any location. The last headache you want to deal with is taking a customer all the way to purchase only to discover that their device is ineligible for activation! Validate through our custom eligibility API to ensure a seamless transaction and activation.